Profesionales de la Seguridad y Sistemas S.A. Your trusted security company. We are endorsed by 41 years of experience and a wide international presence. At GSI Security, our main objective is to provide our clients, anywhere in the country, with the best price-quality ratio in the private security sector by means of a professional, reliable and qualified service. As we operate internationally and have over 40 years of experience, we are able to deliver a service of excellence to the customer supported by a highly-regarded company. Over 40 years of service to our clients and an important international presence as our endorsement. We support our clients by drawing up a joint strategic plan to always achieve maximum profitability. 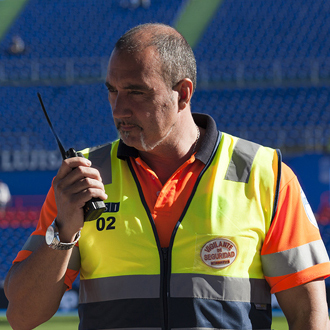 We offer our clients the best value for money in the private security sector. We create personalised surveillance solutions adapted to the needs of our customers throughout the country. We have the latest technology in security and our guards receive continuous and specialised training. We offer our clients a consultancy department, advice and comprehensive planning.